How often should your roof be maintained? How often do you take your car for maintenance? How often do you visit the dentist? If you want your roof to last long and serve your properly, it is important that you carry our regular maintenance on it just as you do with your health and your other properties. But just how often is right for your roof? Experts at Terracex, Ottawa Roof Repair and Replacement Services say that it is a good idea for a professional to inspect your roof at least twice in one year. 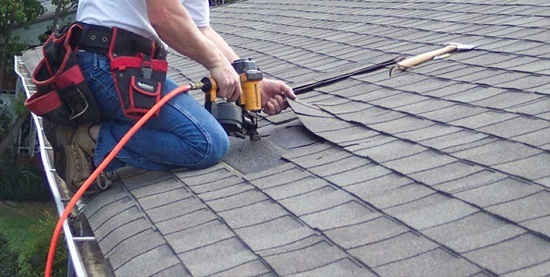 You should in fact do a personal inspection as often as possible, especially after a typically harsh weather, but it is advisable to have your roof inspected by a qualified roof repair and replacement professional. This individual will be able to spot things that you may overlook and suggest prompt repairs that could cost you lots of money if left for too long. Roofs just like everything else have an expected lifespan and the closer your roof is to its due date, the more problems you are likely to encounter, therefore if you have a much older roof, you may want to inspect and maintain it more regularly. In fact, in this situation, it won’t be a bad idea to have your roof checked every month. However, if you have a relatively new roof, you may not need to inspect or maintain it as much. In fact, you can use a new roof for up to five years before considering an inspection or maintenance unless you just experience a really heavy storm. If you are not a roofing expert, you may inspect your roof and still not know it needs to be worked on. In most cases, homeowners only know to call a roofing expert when their roof leaks after it rains or when they see part of their roof shingles blown away. Here are some things to look out for when you do your regular inspection. There are many more signs that you need a roof repair or replacement, but the 4 list are for easy detection. Algae mould and grime make your roof look unattractive and if left unchecked can damage your roof. They can grow as tiny plants, using their roots to push up the tiles and shingles ion your roof, causing damage and leaks. If your roof looks dirty, it is best to have it cleaned immediately. Your roof will last longer and work better this way. If you come across any of the above listed signs of damage, get a professional roof repairer immediately so that it doesn’t escalate into a larger damage in the future.